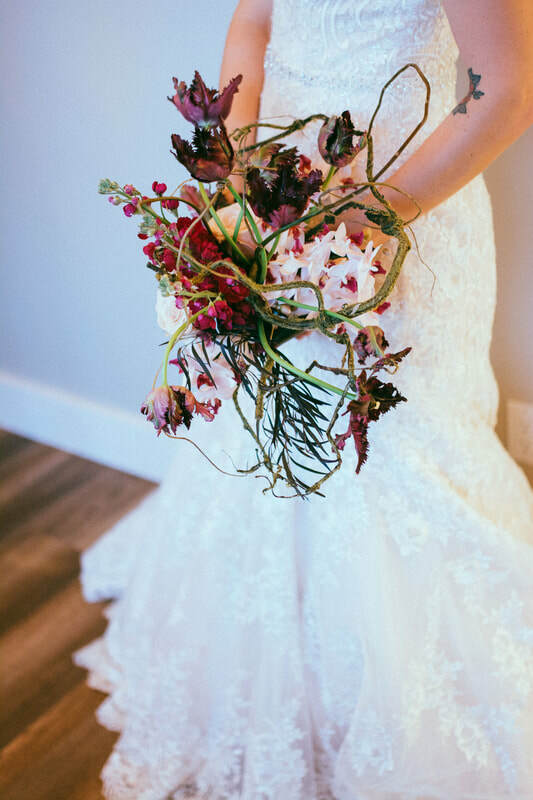 The team at STEMS Flowers & Café would love to help you on your journey by providing you with all your wedding floral requirements. With over 18 years wedding experience combined with being published in Wedding Bells Magazine, Florist Review, and others, we can offer you guidance, advice and amazing service. We know that you have other things on your mind, which is why we take the time to ensure that all your flower wants and needs are taken care. Let us work with you or if you have a planner or decorator, let us work with them to enhance your dream day. What do you do? This is the fun part. Book a complimentary consultation with us by calling 403.342.1515 or by clicking the "Book a Consult" button below. We will set up a time that works with you to discuss all your hopes and dreams. Then we meet; Bring your inspirations with your at this time. We will gather extraordinary components and lovingly style them to capture the vision, aura and essence of your dream day, ensuring that you have a truly unique experience.